Small areas within the classroom or facility can be set up each with different instructional materials to enable individual students or small groups of 2-4 students to move from one station to another. Teachers should be well versed in how to effectively design centers to allow students to discover, create, and explore through hands-on involvement with the materials located in them. 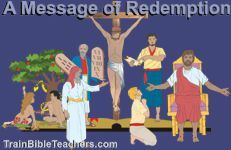 This resource provides one page handouts about eight different Bible Learning Activities that are good methods to use in learning centers -- books, crafts, dramatic play, games, manipulatives (blocks, puzzles, other), media, music, pictures. This resource provides instructional teacher training handouts, not actual activity sheets. A big key to effectively using Learning Centers is to think through the logistics. This eight page teacher training worksheet provides questions teachers should ask themselves, some input on those questions, and a worksheet to help think through the various issues involved when planning to use learning centers. This is one of the training documents in the Bible Learning Activities for Children Resource listed above under "General." On this page about crafts, you will find tips on how to choose crafts for a lesson and how to extend the use of crafts beyond the classroom. This is one of the training documents in the Bible Learning Activities for Children Resource listed above under "General." On this page about media, you will find tips on how to choose media for a lesson and what to remember when using it. This is one of the training documents in the Bible Learning Activities for Children Resource listed above under "General." On this page about books, you will find tips on how to choose books for a lesson and what to remember when using them. This is one of the training documents in the Bible Learning Activities for Children Resource listed above under "General." On this page about games, you will find tips on how to choose games for a lesson and what to remember when using games. This is one of the training documents in the Bible Learning Activities for Children Resource listed above under "General." 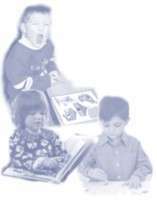 On this page about dramatic play, you will find tips on how to choose dramatic play for the lessons and what to remember when using it. This is one of the training documents in the Bible Learning Activities for Children Resource listed above under "General." On this page about about music, you will find tips on how to choose music for the lessons and what to remember when using it. This is one of the training documents in the Bible Learning Activities for Children Resource listed above under "General." On this page about about pictures, you will find tips on how to choose pictures for the lessons and what to remember when using them. This is one of the training documents in the Bible Learning Activities for Children Resource listed above under "General." On this page about about using blocks, puzzles, and other manipulatives, you will find tips on how to choose them for their lesson and what to remember when using them.